The Conspiracy Zone : WHY IS DONALD TRUMP REALLY ATTACKING SYRIA? For those who still think Donald Trump is doing his own thinking, we want you to know the globalists are still firmly in control of World events and Trump is their puppet just like EVERY U.S. President. The goal for Trump is the same as it has been since The Tower of Babel and that is to lead a Satanic onslaught to establish a New World Order and One World Government. To do that, the Illuminists are trying to destabilize the Middle East, kill innocent people around the world and re-establish a Rothschild owned International banking system, reveal the anti-christ and make slaves out of every person left on the planet. The “Powers That Be” seems to be rehashing the old script of attacking an “enemy” nation that used chemical weapons on their own people. Yea, the same lie they used to invade Iraq. They don’t need to be creative as long as the same lies used over and over again seem to work just fine for the general public who for the most part have completely lost their critical thinking skills. 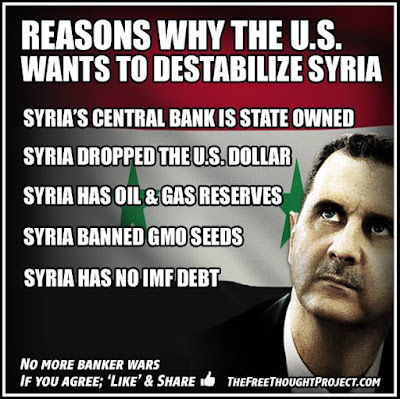 I usually don’t repost articles, but we think this article from Jeff Berwick and Dollar Vigilante, is the best information out there on what is really going on in the Middle East. Remember before the (s)election when Donald Trump, who was a New York Democrat running as a Republican, was the anti-war candidate? And Killary Clinton, who was a lifelong Democrat, the party that sells itself as the more anti-war party, was the war candidate? 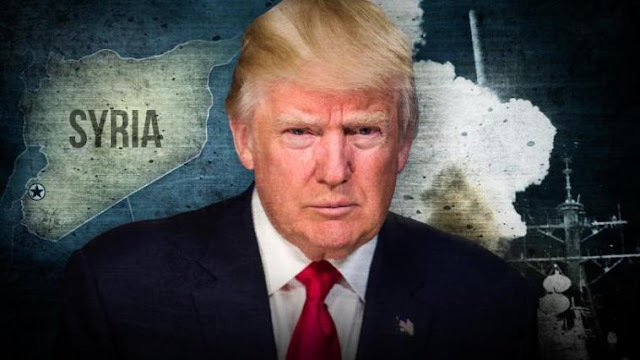 And, how Trump’s rhetoric about making friends with Russia and even letting Russia take care of ISIS in Syria led many to believe that the only way to get out of a potential World War III scenario was to vote for Trump? And then how Trump was elected, started saber-rattling with Russia… and China… and North Korea… and then bombed Syria just like Hillary Clinton would have? There’s a reason why it seems crazy. It’s because it happened on purpose. The Globalists/Banksters/Zionists/Masons/Jesuits/Illuminati (pick the one that makes you most comfortable) who control the whole show do it all on purpose. They are laughing at the whole world right now for falling for their tricks, time and time again. Nope, they aren’t complicated at all. The wars will always continue. Wars aren’t meant to be won. They are meant to go on for eternity. 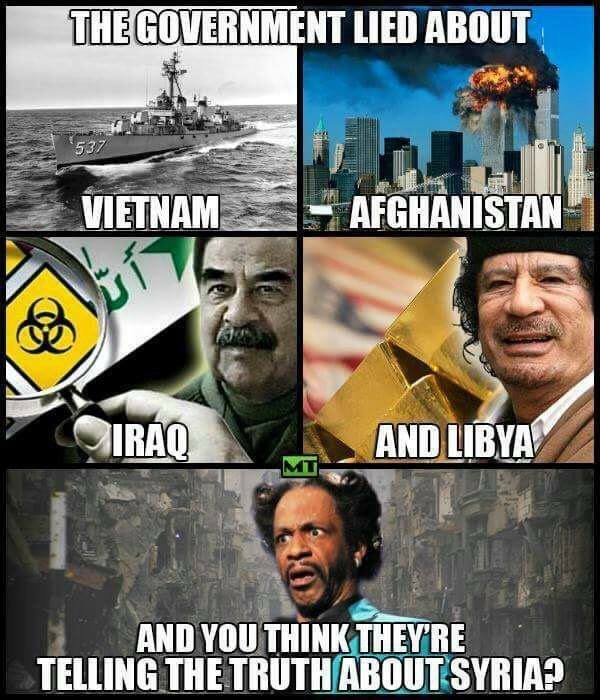 If the fact that the US has been terrorizing Iraq for 27 years now, since the first “Gulf War” in 1990, doesn’t make you realize that, then nothing will. What Americans need to realize is that they don’t have a government. They have an evil cabal of satanic globalists who enslave and extort them throughout their lives and even after they die, with the final Death Tax to take what’s left even after the poor American tax slave has left his mortal coil. Sadly, this cabal has been so proficient over the decades that they have brainwashed, propagandized and mind controlled the majority of the population so thoroughly that they will stand up, sing and cheer when their master’s song is played before their bread and circus sports games. And, just like Trump was a trojan horse, as we’ve been saying for the last year, to fool the public. Now they will use Trump to engineer, at least to some degree, a type of World War III. This too is all planned and scripted as the globalists control the governments of Russia and China as well. This game is very serious. And this rabbit hole goes very deep. And, it looks like, they have quickly begun to roll it out. 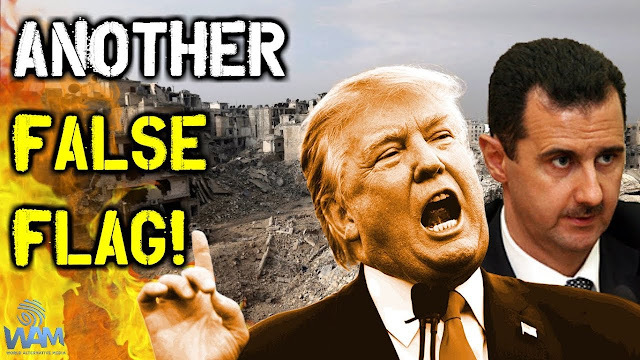 In a matter of a few days a false flag gas attack, or an outright hoax as it looks incredibly fake, was conducted in Syria. Within hours, before anyone could even look at any of the evidence, Trump attacked Syria. Why so quick? Because people have access to the internet now and are getting very fast at exposing all of these hoaxes. 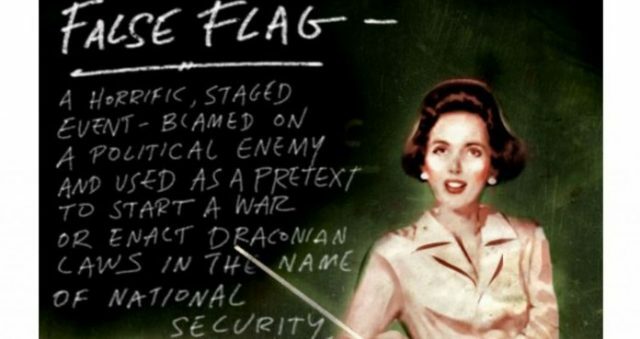 It took many people years to figure out that 9/11 was a false flag. 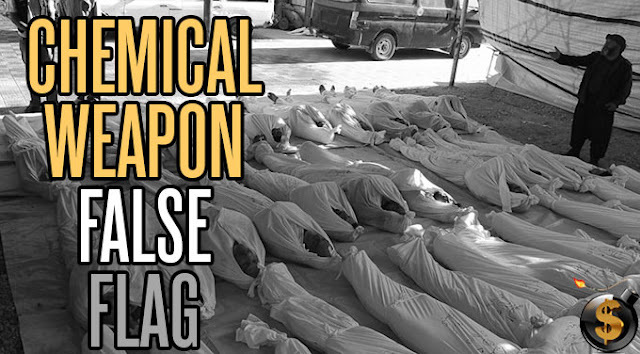 The last Syrian gas attack false flag took a few weeks before people realized it was a false flag. And, they knew, it’d only be a matter of days before most of the online media could expose the latest Syrian attack as a false flag or hoax. So, before anyone could even say or do anything, they launched the “beautiful missiles”, as MSNBC’s lyin’ Brian Williams called them, into Syria. I was in the middle of quickly writing about how the Syrian gas attack was likely a false flag or hoax when Trump had already attacked Syria! It was literally that quick. And then, just in the few days since, Russia has said that if it were to happen again they will respond with force. Meanwhile, other parts of the US Navy are apparently heading to attack North Korea. So, in the span of a few days anti-war Trump has attacked Syria and is on the verge of war with Russia, North Korea and, by proxy, China. Oh, and he is now considering sanctions against Russia and Iran too. It’s a good thing Donald Trump won the election because Hillary Clinton would have gotten the US into World War III… right? According to this fluoridated citizen, it was actually good Trump won or we would have been in World War III two months ago, not now! What a beautiful two months it was too… just enough time for Trump to block attempts at removing Obamacare and not put Hillary in prison. What that commenter, nor most, don’t realize is that the entire game is rigged. The people have no choice. 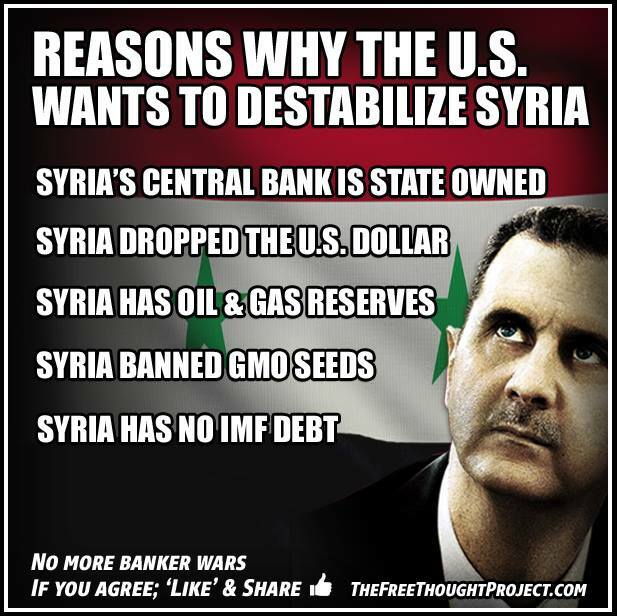 They want you to keep bickering about which tyrannical ruler was the least evil… as they continue to rob everyone blind and commit their evil wars across the world fulfilling their blood lust. 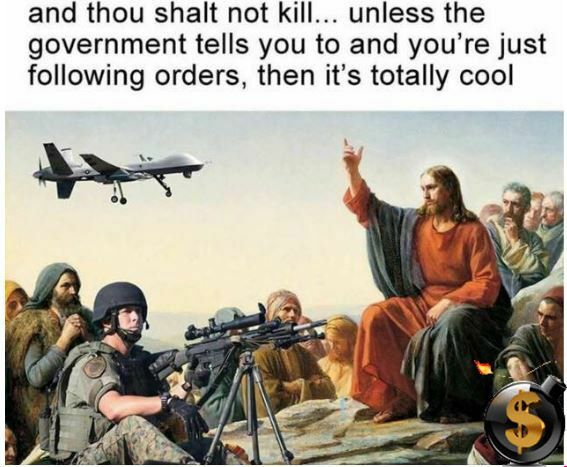 And they even get the enslaved population to go off and do their killing for them, and be killed, all with a sense of pride about committing evil acts and sometimes giving up their lives in service to their corporate overlords. But, don’t worry, they won’t kill everyone in a massive World War. 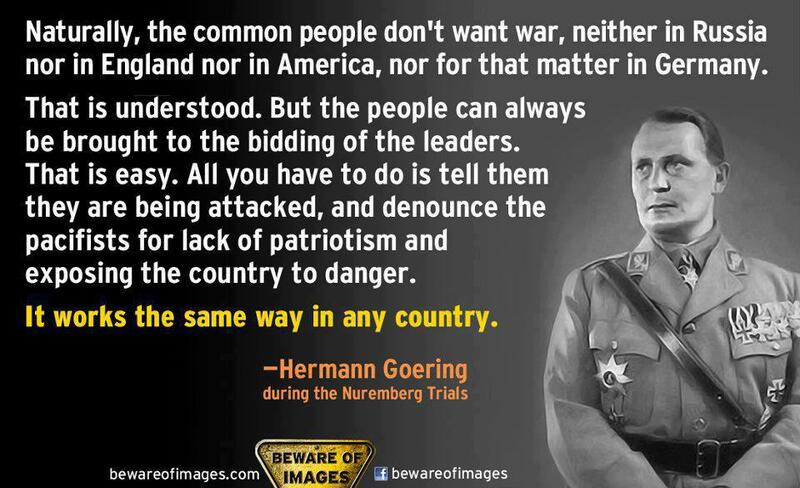 They’ll kill lots… like they did with the equally contrived World War I and World War II. But, they need enough of us around to build all the stuff they want… plus it’s not really about money anyway, it’s about power. And if they killed us all there would be no one to control and dominate. 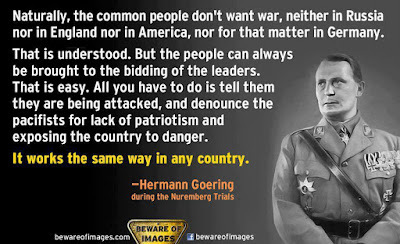 What they’ll do is just cause more hoaxes, false flags, wars and rumors of wars into perpetuity to keep people’s minds off the fact that they are wholly and completely enslaved. If, one day, the people wake up and realize what is going on, however… now that could be interesting (start by sharing this article with your slave friends). In short, this is just another created event designed to erode the Constitution and take away your freedoms by playing on your emotions. Repost this and share because the more people that know about this, the harder it will be for the Globalists to get away with these kinds of events.